BACK ON THE MARKET WITH MAJOR PRICE REDUCTION! 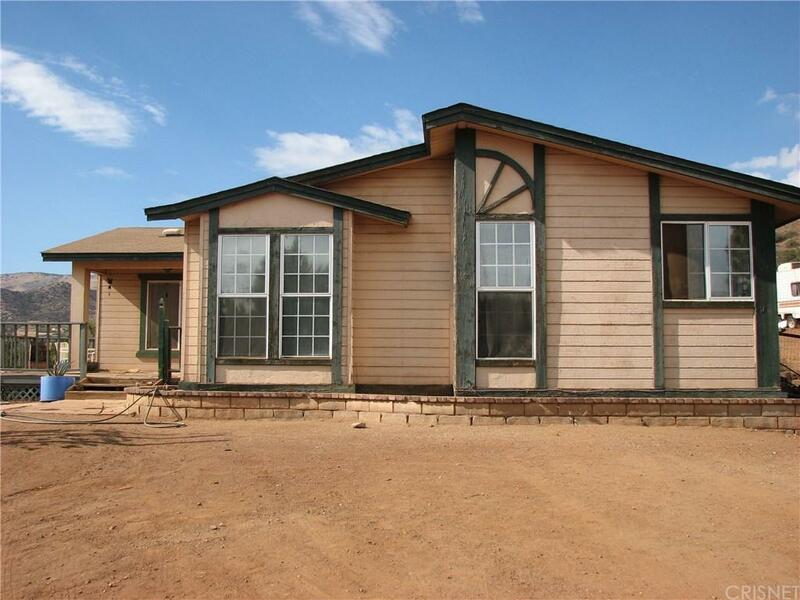 This 3 bedroom 2 bath home sits on a fully fenced 2.5 acres with amazing views! The home needs some TLC and with a little work can be your dream home. Enjoy beautiful sunsets from the back deck right off the living room. Room for your horses and toys with riding trails all around you. Two outbuildings can be storage and perhaps a tack room? There is a built in pool fenced off for safety. Inside you will find 3 nice size bedrooms, 2 full bathrooms, an open kitchen with island and a wood burning stove in the living room. Laundry room is right off the kitchen with a door to the yard. Bring all offers!